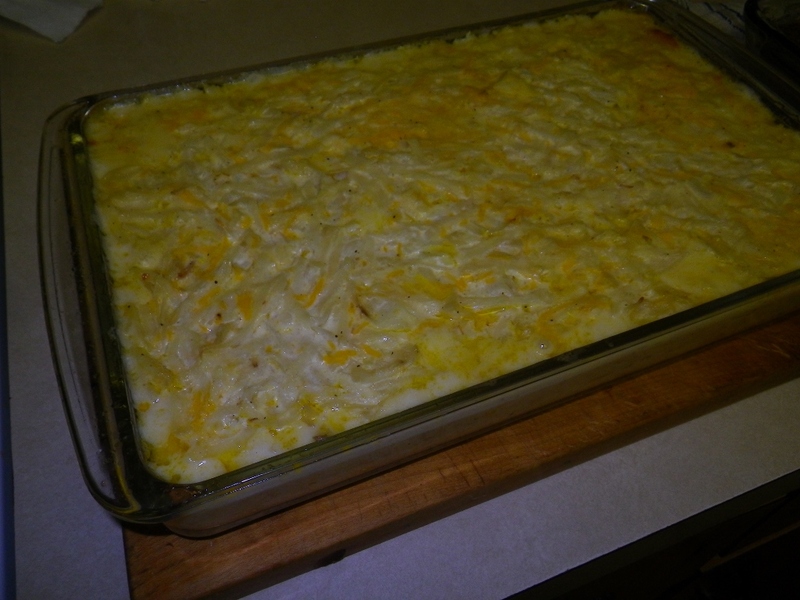 This is a recipe that comes close to duplicating the Cracker Barrel potato casserole. It is made from fresh potatoes. 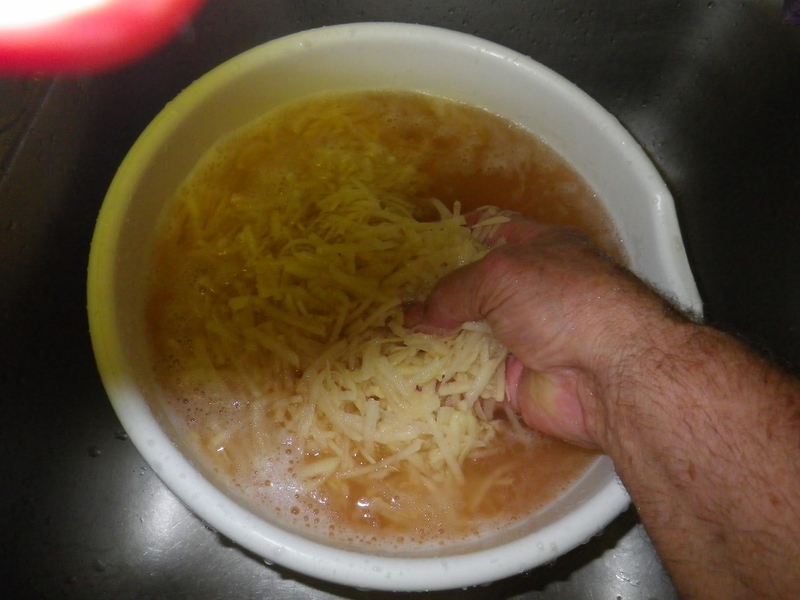 A short cut is to use 2-pounds of prepared, coarse grated frozen hash browns. The casserole preparation can be done the night before and placed in the oven in the morning for a wonderful breakfast side dish. However, don't limit this dish just to breakfast. As a main meal accompanyment is is excellent. 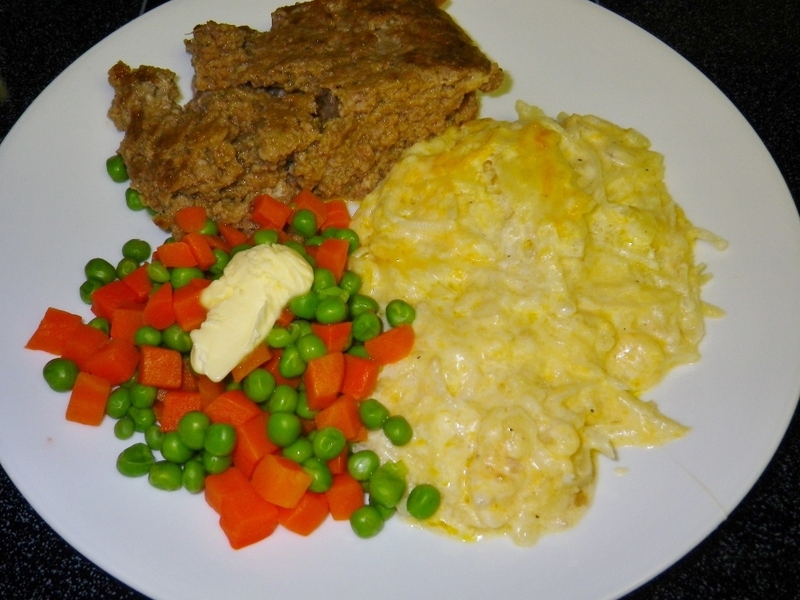 Pictured here it is served with and compliments meatloaf and vegetables. Additional flavor is added with the chicken base. If you substitute chicken bouillon, reduce the salt added to the mix. 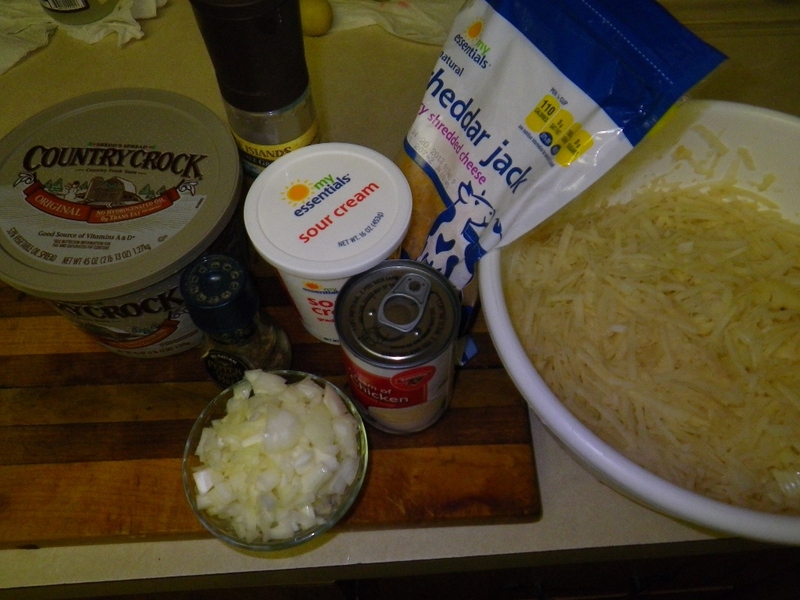 Some copy-cat recipes call for Cheddar cheese but I think the Colby-Jack cheese mix gives a closer approximation to the Cracker Barrel product. 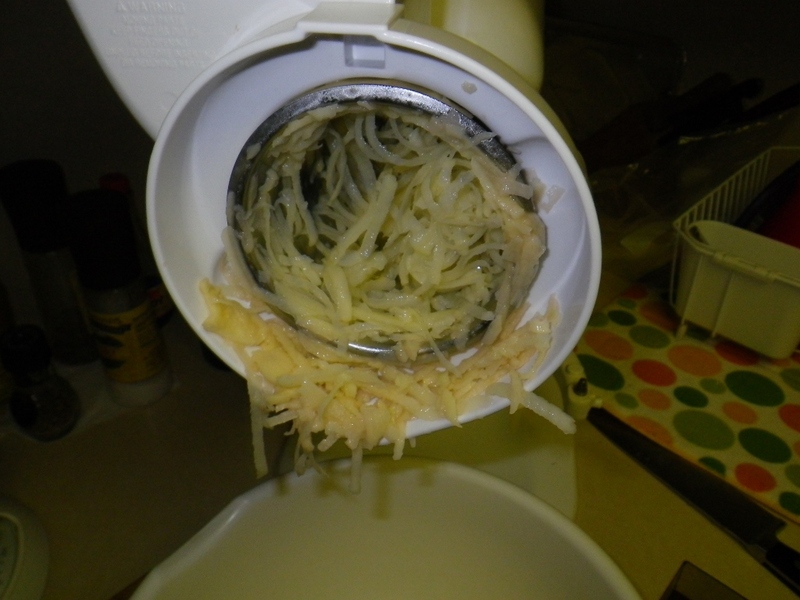 4 to 5 medium potatoes, about two pounds, peel, shred, soak and rinse until water runs clear. Place potatoes in a large pot of boiling water until water returns to a boil. Drain well in a colander. While the potatoes are draining, heat the butter or margarine in a sauce pan. Add the diced onions and cook until transparent (sweat, not sauté). Add remaining ingredients and mix well. 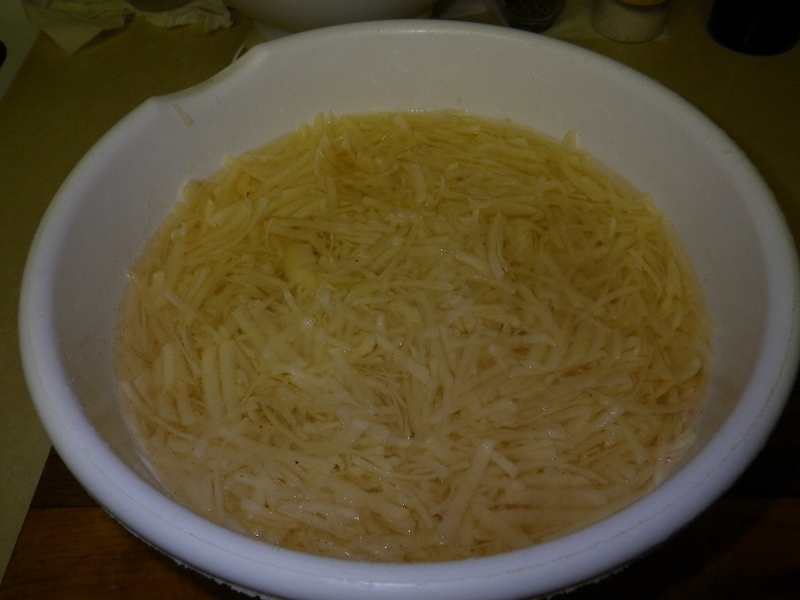 Combine the drained potatoes and the onion soup mixture and mix well. Prepare am 11- x 14-inch baking dish with a light coating of cooking spray. Add the potato mixture and smooth the surface. Bake in a preheated 350 oven and bake uncovered for 30 minutes or until the casserole is golden brown on top. 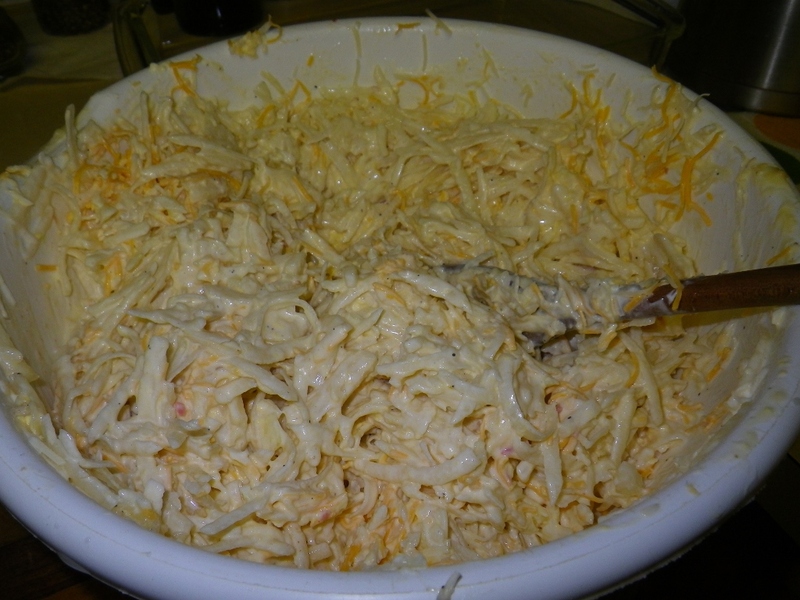 Allow casserole to sit for 10 or 15 minutes before serving.